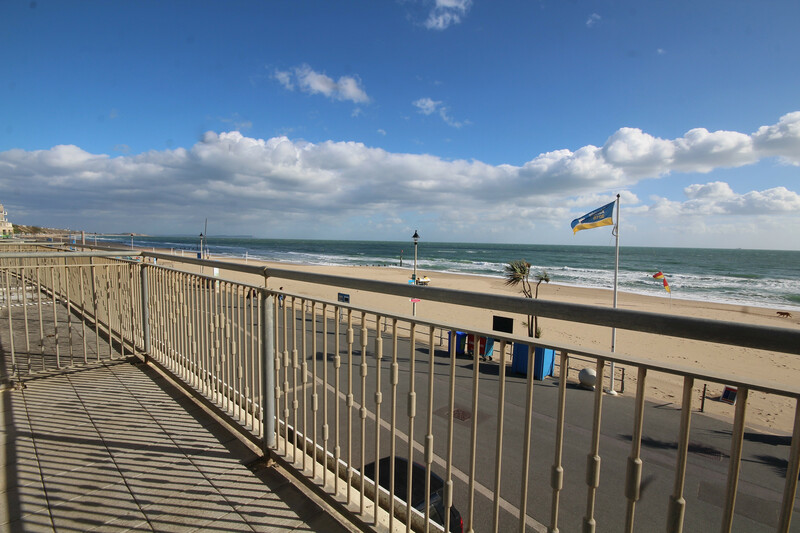 A double-width beach pod, one of only 20 ever built, has gone on the market in an enviable, elevated position on Boscombe Seafront, Bournemouth, in Dorset. Designed by Wayne Hemmingway MBE, the co-founder of renowned fashion brand Red or Dead, the pod offers a unique style and is on the market with Lovett Estate Agents for £70,000. 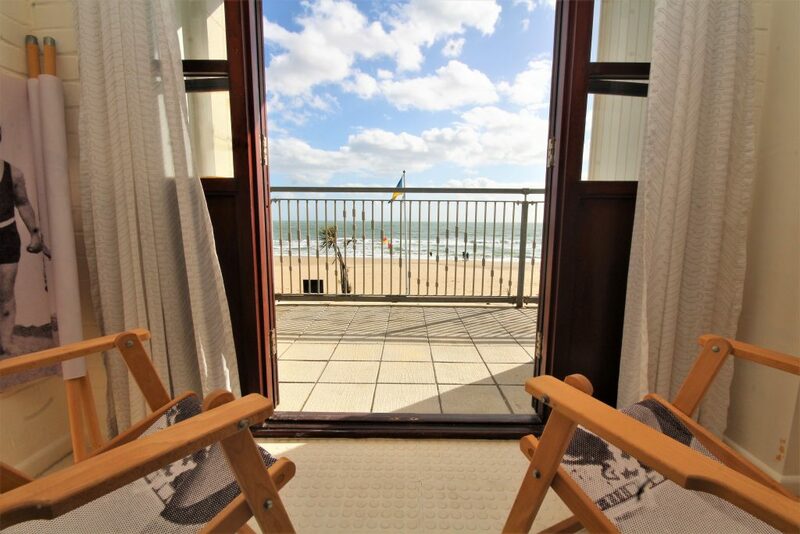 The beach-pod boasts a substantial south-facing sun terrace that provides a perfect space for relaxing, alfresco dining and entertaining with far reaching panoramic sea views that stretch from the Isle of Wight to the Purbecks. Dual double doors lead inside where you will find a meticulously planned space designed by Wayne and Gerardine Hemingway MBE of HemingwayDesign. 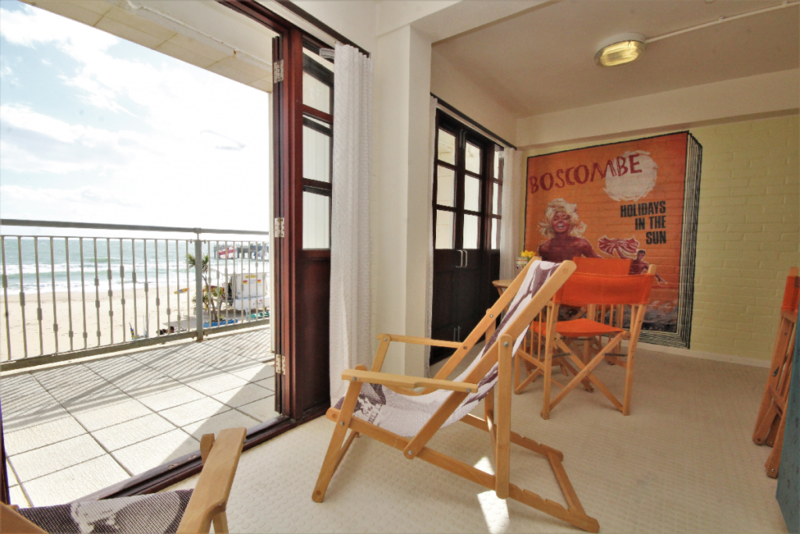 The beach pod is a work of art in its own right, featuring a large retro coastal wall mural from Wayne Hemingway’s personal collection. 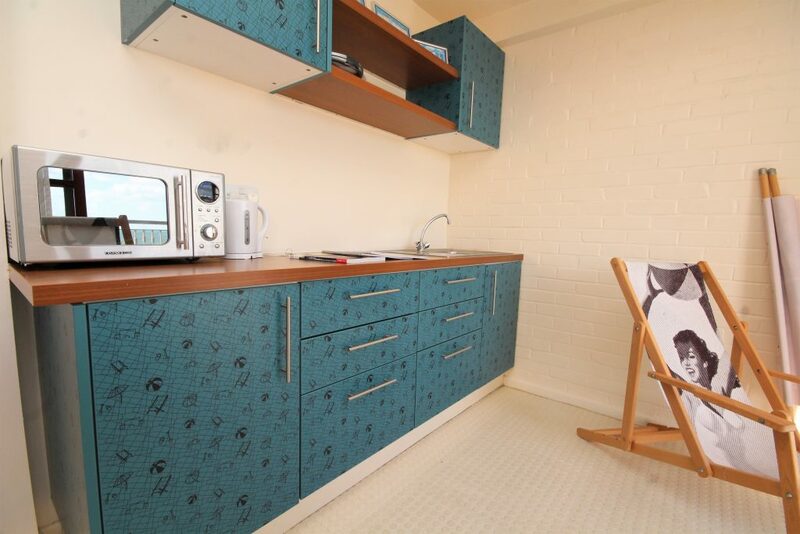 The pod comes fully equipped with mains electricity, bespoke kitchenette, kettle, microwave, sandwich toaster, kitchen utensils and a bespoke seaside furniture set, everything you need to make the most of your time by the sea. The pods take on a vintage style and offers direct access to the beach and promenade. Over the last decade Boscombe Spa has seen a rise in popularity with its award-winning restaurants, popular cafes and amenities. 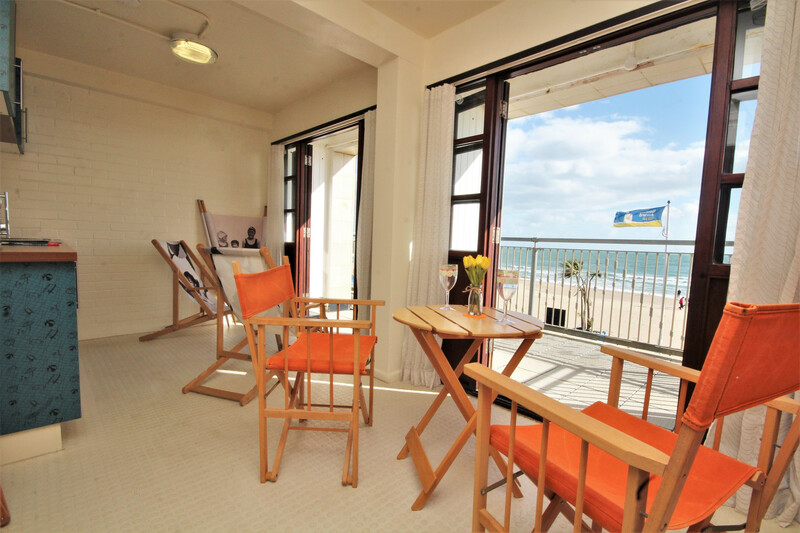 Owning your own beach pod offers you a lifestyle by the sea. The perfect place to unwind, relax and enjoy the view. This is a rare opportunity to purchase a simply stunning double width beach-pod; truly one of its kind! To view this Beach Pod please contact our Sales Team on 01202 303044 extensions 639, 640 or 644 and they will happily look after you.